It’s no surprise that most office workers sit too much. The average person spends almost six hours a day sitting at their desk and seven hours sleeping at night. Not only is that bad for your physical health, but it can potentially damage your mental and emotional well-being. Though there’s still research to be done as to exactly why, sitting for prolonged periods leads to negative health effects, including increased risk of diabetes and heart disease. There are several ways to mitigate the sedentary lifestyle, including taking frequent walking and movement breaks and using standing desks. By spending less time sitting and more time moving around, you’ll get the health benefits of burning more calories, improving your health, and decreasing your risk profile. Your blood sugar generally increases after meals, and the more it rises, the more detrimental it is for your health. If you have type 2 diabetes or insulin resistance, these effects can be even more pronounced. Standing for three hours after meals results in a reduced blood sugar surge compared to sitting. A standing desk makes working an easy task and removes excessive sedentary time from your workday, reducing blood sugar levels in the process. Many office workers who sit all day complain of back pain. 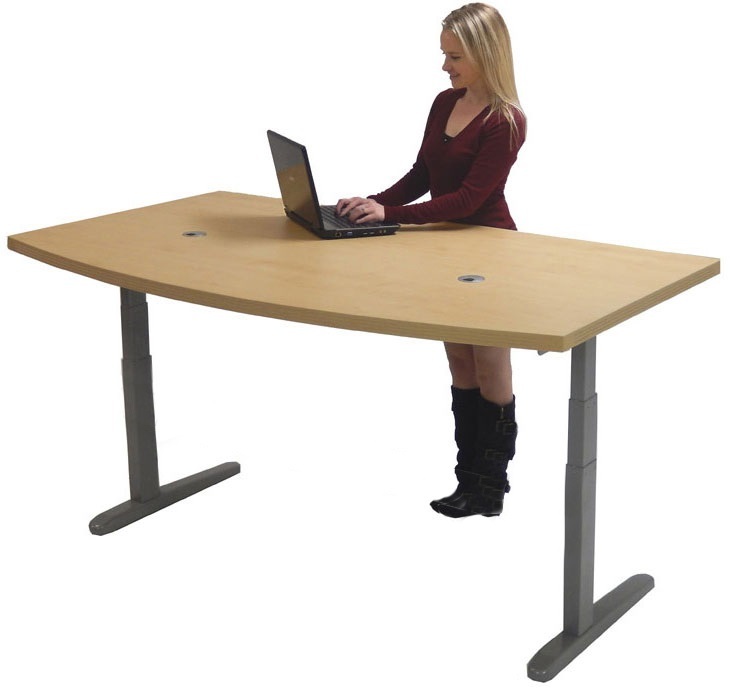 There have been various studies to determine if standing desks improve back pain. One study in Minneapolis showed improvements in upper back and neck pain, while another study displayed additional improvements in lower back pain. Even in employees with long-term back pain, utilizing standing desks for a two-week period caused significant improvements. If you’re experiencing chronic back pain from a sedentary work environment, a standing desk could offer back pain benefits to you. There is also evidence that sedentary lifestyles are linked to adverse mental health outcomes, including depression. In the Take-a-Stand Project, which reviewed standing desk health benefits, 87% of standing desk users stated they felt more energetic and vigorous in their daily activities. They also were less stressed out and tired than their seated peers. However, once they returned to sitting, their moods quickly returned to their original states. Standing desks can lead to improved mental health outcomes and increase employee energy throughout the day. 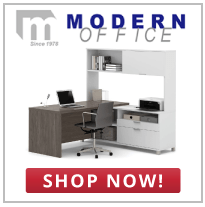 Browse through Modern Office Furniture’s selection of adjustable height and standing desks and find a standing desk to improve your health. You could lower your risk of diabetes and heart disease and create a better work environment by reducing back pain and improving your temperament.